Auto major Mahindra & Mahindra is gearing up to intensify competition in the mini truck segment to homegrown rival Tata Motors, which is currently leading the market with its Ace model. "Mahindra is committed towards sustainable mobility and the environment. 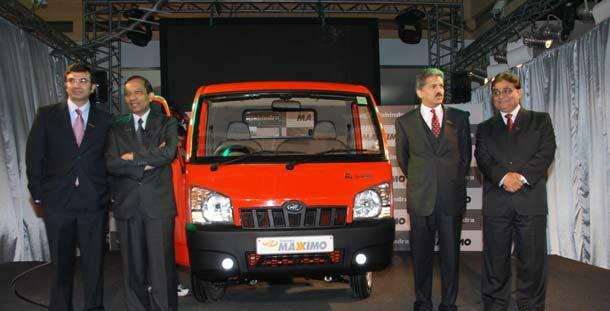 The launch of Maxximo CNG is one more step in that direction," Mahindra & Mahindra Senior Vice President Marketing (Automotive Sector) Vivek Nayer told reporters here. The company, which launched a CNG variant of its mini truck 'Maxximo' - priced at Rs 3.99 lakh (Ex showroom Delhi), said it is looking to expand customer base through its "superior product offering". "In the two years since we entered the mini truck segment with Maxximo, we have been able to build a good share in the market, which is currently dominated by Ace. We are confident that with a superior product offering, more customers will choose our product," Mahindra & Mahindra Senior Vice President Marketing (Automotive Sector) Vivek Nayer told reporters here. "Our share was 22 per cent in the load segment while that of Ace was 68 per cent. In the load segment, Maxximo had 29 per cent share while that of Ace was over 60 per cent," Nayer added.